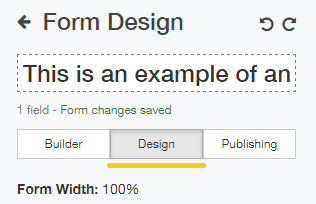 Access your form (How to Access) and go to the design tab. 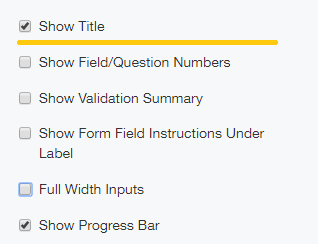 Scroll through the options to find the 'Show Title' check box which will be checked by default. Un-check it if you do not want it to be shown.